The Perfect Paleo bread seems to be on everyone’s to do list these days. 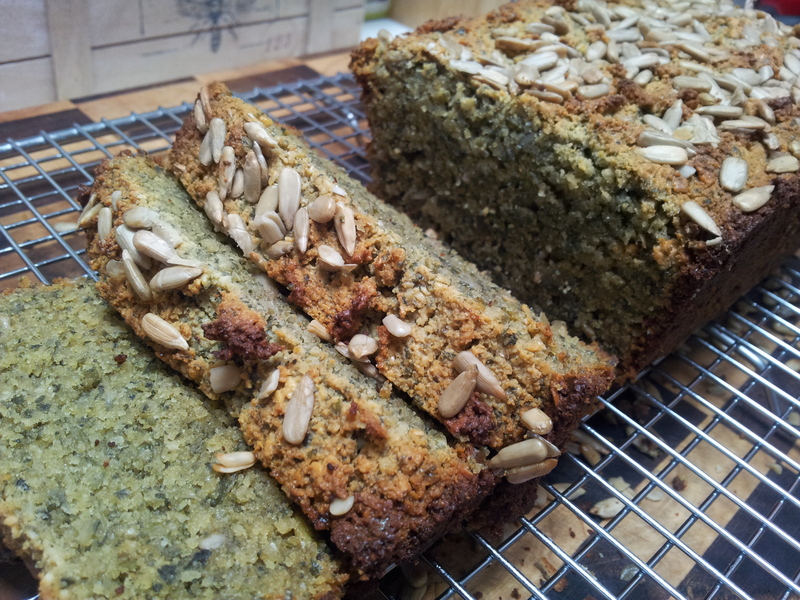 This is a delicious gluten and dairy free bread where pumpkin seeds form the bulk of the loaf. The green colour is enticing and it holds together well when sliced. I have tested the recipe several times and am very happy with the result. I hope you enjoy it! 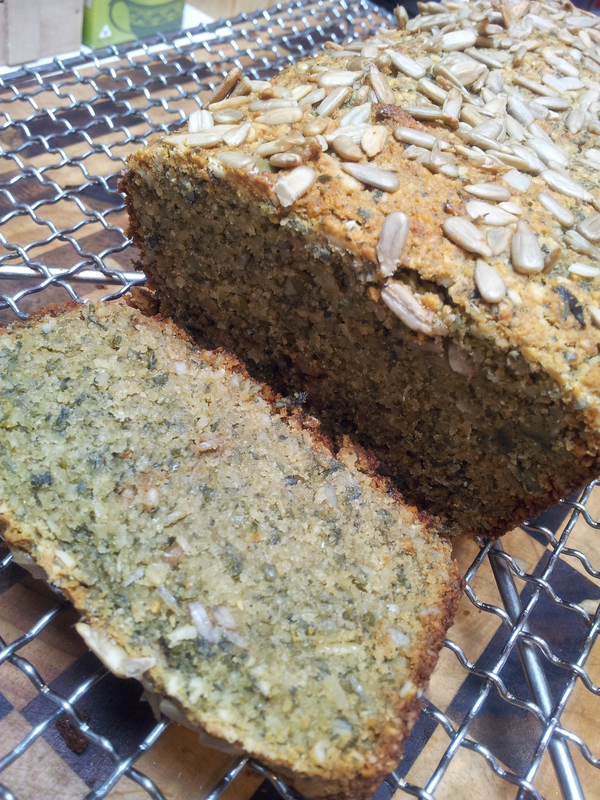 A delightful gluten and dairy free bread. I can imagine myself topping this with something delicious like avocado and tomato, or if you eat dairy some good quality grass fed butter. Following a Primal lifestyle l eat Wholefoods such as meat, vegetables, eggs, fruit, nuts, seeds and healthy oils. This bread is actually composed of some of those wholefoods or products made from wholefoods such as coconut flour. 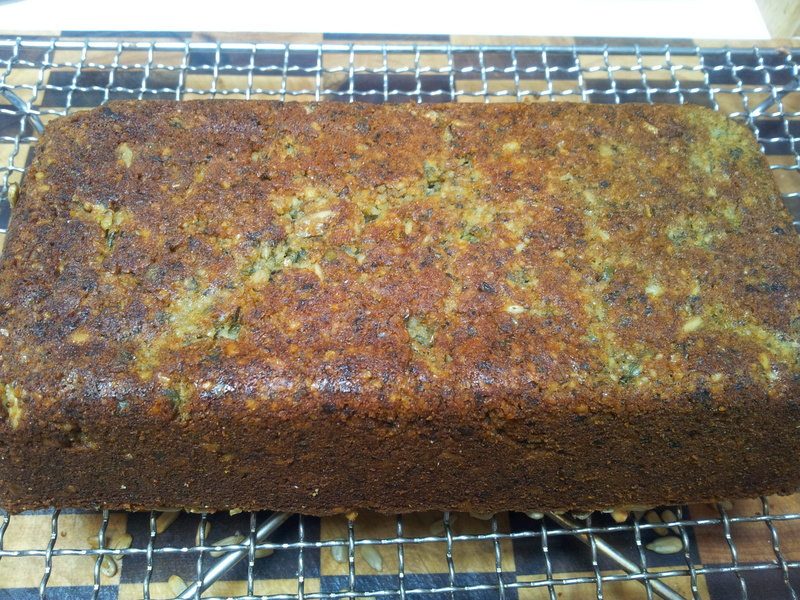 It is extremely easy to make with the most important part being to let the loaf cool in the pan. 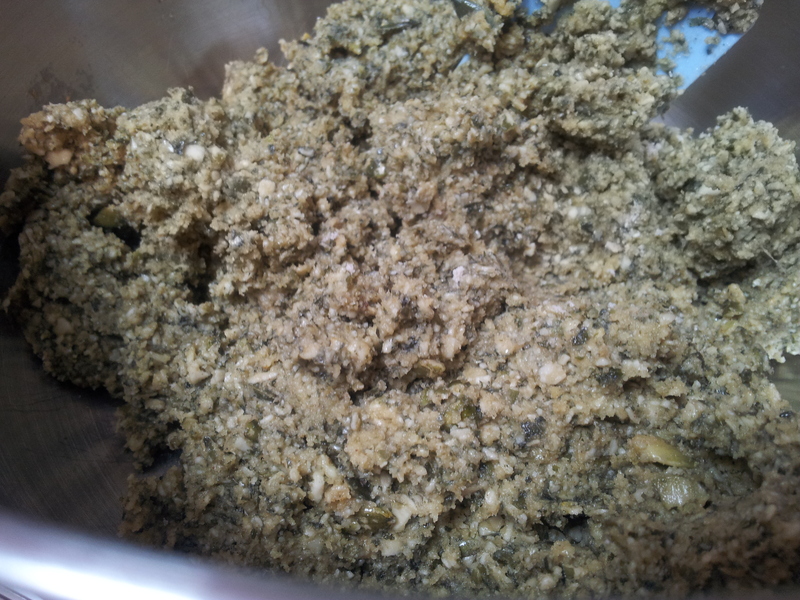 A food processor is required for this recipe as the Pumpkin seeds need to be processed and this is difficult to do any other way. 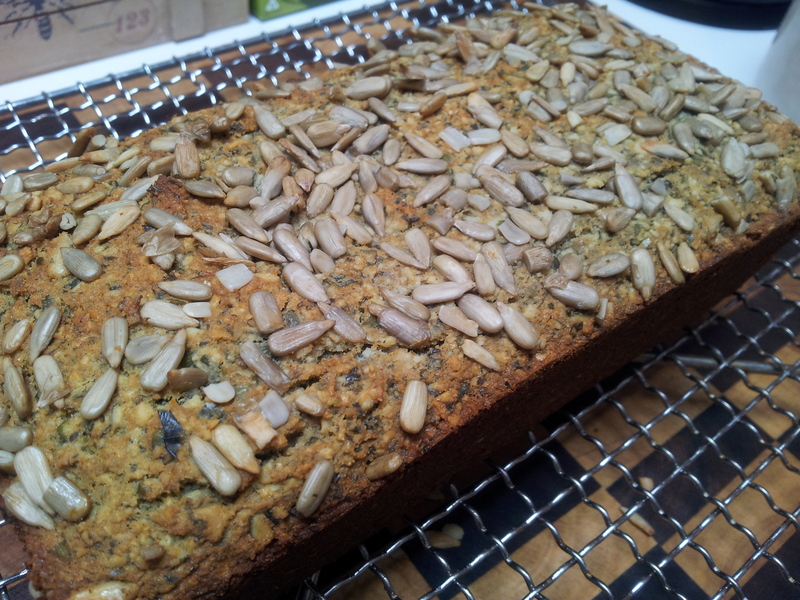 I have used activated seeds and l would advise you to use them to decrease the anti-nutrient content of the loaf. 1/4 Cup maple syrup or honey (Rice Malt Syrup can also be used). 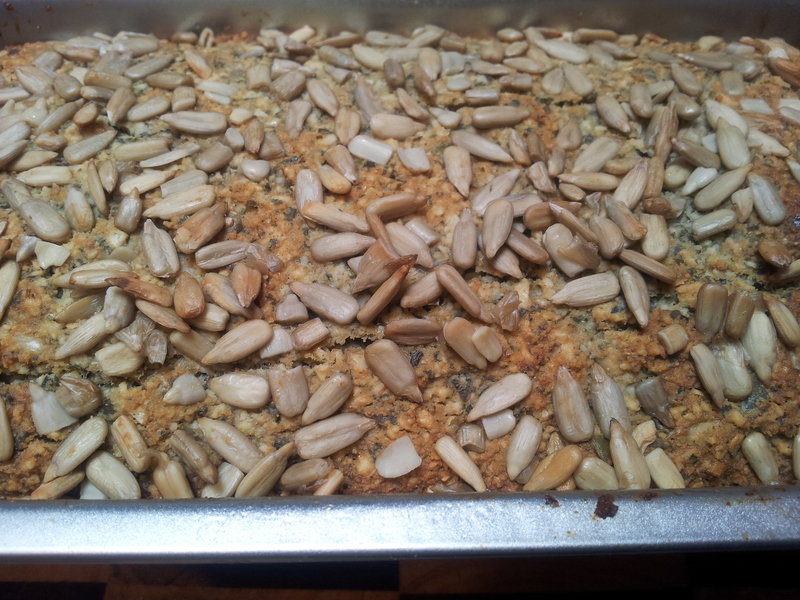 1/4 Cup Sunflower Seeds (activated) plus extra for the top. 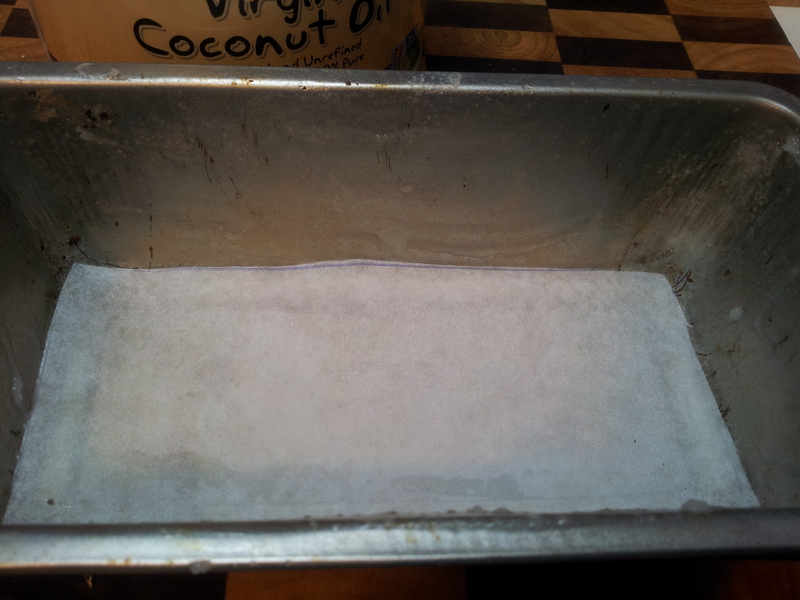 Grease your loaf tin with coconut oil and line the base with baking paper. This tin is smaller than a regular loaf baking dish so the loaf is quite compact. 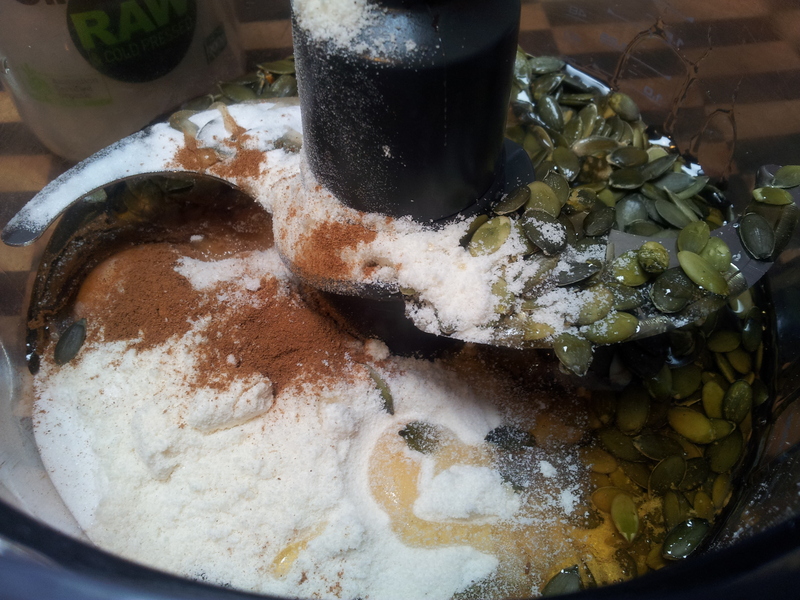 Place all ingredients into the food processor except the coconut oil and sunflower seeds. 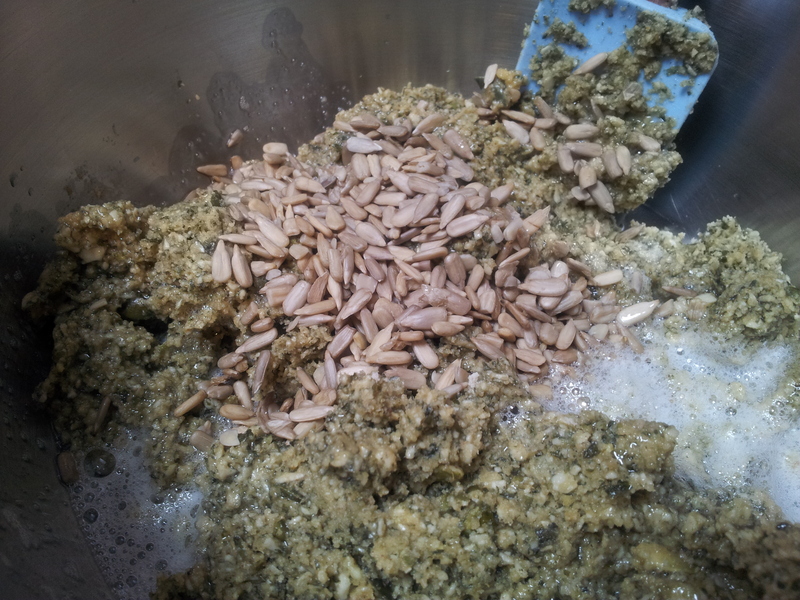 Process until well combined and the pumpkin seeds are quite small and broken. The mix is quite thick. Place into a bowl and add the melted coconut oil and sunflower seeds. Mix gently until well combined. The mix will look nice and moist. Spoon the mixture into the baking dish and smooth the top with the spatula. Sprinkle extra sunflower seeds over the top and ensure good coverage. 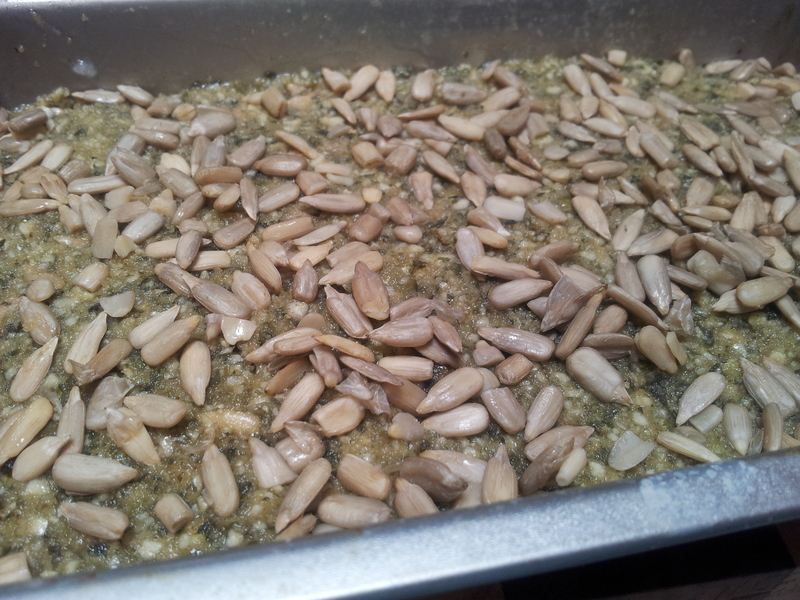 You could use pumpkin seeds as an alternative or a mix of both would be fun. Bake in a pre-heated 180 Degree Celsius oven until golden and firm. Each oven will be different and if your oven is hot then lower the temperature. My bread split slightly on the top and this was a good sign it was done. Remove the bread from the oven and let cool in the pan until almost cool. With a knife cut around the edge of the bread to loosen it. Carefully turn the bread onto a cooling rack. Flip the bread over and cut a slice off. The end pieces are the best! I hope you enjoy this bread. 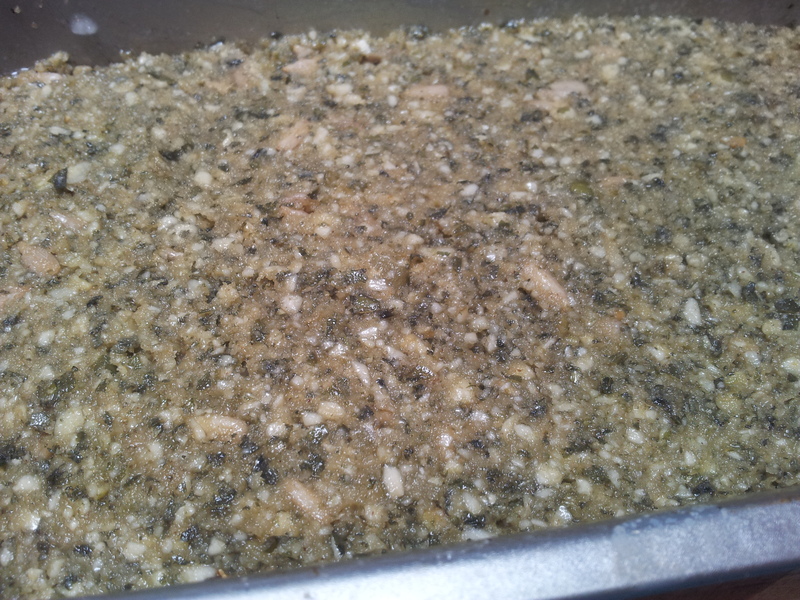 You could add some different spices to the mixture to change the flavour. I advise slicing the bread into single serves and storing them in the freezer to use as required, although it would keep several days out of the freezer. This bread could also be taken to work as a snack on its own or you could take the toppings with you. It could be placed under the grill and heated also. You can follow me daily on Instagram at holistic_paleo or Facebook at Holistic Wellness For Life or Primal Living Melbourne.